Intravenous (IV) therapies are exceptionally powerful because nutrients are administered directly into the bloodstream via IV. It lets us administer precise, personalized doses of the nutrients your body needs – no more and no less. The IV circumvents the potential loss of potency due to possible breakdown in the GI tract and poor absorption of some orally administered nutrients. It also provides a solution to the opposite problem which is an oral intake of more vitamins and minerals than you could ever absorb. We offer intravenous treatments to fight Parkinson’s, Alzheimer’, macular degeneration, cataracts, heart problems, asthma diabetes, headaches, insomnia, fibromyalgia and more. Most of these treatments involve an intravenous insertion of antioxidants, amino acids, vitamins and minerals into the bloodstream. If you’re feeling tired, anxious or unhealthy, these therapies could have you feeling better, faster than you ever thought possible. 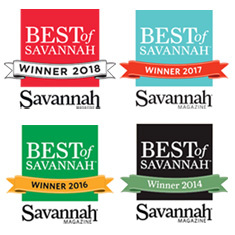 IV treatment is usually performed in our Savannah clinic, but for those unable to travel, we may be able to express-mail our IV solutions to a provider in your area to administer. This will only happen with special cases after several requirements have already been met. Please contact us for more information.